Another Eurogroup meeting, another article by Varoufakis in an influential international edition, again the same result - no agreement with Greece. 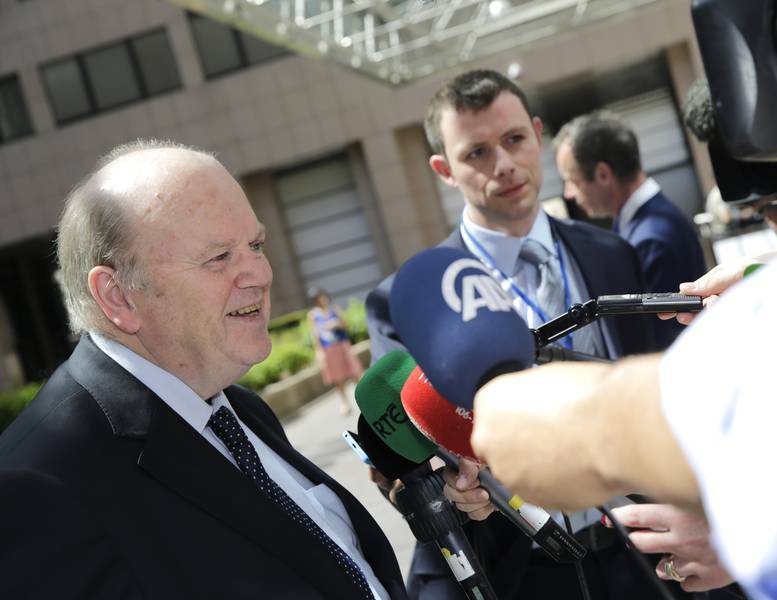 This week, however, for the first time in months a shadow of optimism has appeared that by the end of June when the expansion of the current bailout programme expires, there could be an agreement. Both sides - Greece and the representatives of the institutions - announced that there was convergence on many of the controversial points but the there is a long way to go to the final handshaking. Moreover, as it became clear from the statement of Eurogroup chief Jeroen Dijsselbloem, the deadline is not only the end of June but the end of liquidity in Greece. "We hope to reach an agreement before time runs out or before money runs out", he said in the end of the regular meeting of the euro area finance ministers on Monday (May 11). After the serial failure of the negotiations in the end of April in Riga all parties report a change of the atmosphere. According to Mr Dijsselbloem, the new set-up of the negotiations, established after Riga, is much more efficient, more positive and more constructive. It already delivers but more time is needed to bridge the gaps, he said. The Dutch finance minister added that the Greek authorities demonstrated an intention to accelerate their part of the work with the institutions. What Greece is expected to do is to present a detailed list of reforms as the focus is on the details which need to be so "detailed" to allow the institutions (the new name of the Troika) to make the necessary calculations of the financial needs and debt sustainability. At this stage, there is no such data. EU Economic and Financial Affairs Commissioner Pierre Moscovici also reported a significant change in the atmosphere and even some progress. There is convergence of the positions on the reform of VAT and the non-performing loans (NPLs). There is still a lot of distance to be bridged in terms of pension reform and the reform of the labour market. The French commissioner (Socialists and Democrats) said that the Greek authorities drew clearly their red lines but, still, he added, there was readiness and willingness. And the chief of the bailout funds - the temporary EFSF and the permanent ESM - Klaus Regling recalled that by the expiration of the programme extension there were only six weeks left. He recommended that time to be used well reminding that it should also include the national procedures necessary to seal the deal. Mr Regling recalled, as tradition commands, how much money were still on Greece's disposal should an agreement be reached - 1.8 billion euros from the EFSF, 1.9 of SMP profits from the trade with bonds which is in an account managed by the ESM. At disposal continue to be 10.9 billion euros which, however, are reserved for recapitalisation of the banking sector in case of a need. Klaus Regling did not miss to remind that, so far, Greece had received 131 billion euros which is the biggest amount of money ever disbursed by the bailout funds. The German national recalled another thing he says every time with a tone that is supposed to evoke bringing to senses. Thanks to the bailout programmes Greece is able to save each year 8-9 billion euros in its budget from low interest rates which is 4-5% of its gross domestic product. And another important thing given the expected liquidity crisis - Klaus Regling announced a small positive news. The temporary fund received a repayment from Greece on Monday of 220 thousand euros. The payment is small, he said, it covers only fees, but it is important because the non-payment of small amounts has the same legal effects as the non-payment of big amounts. Translated from the language of financial diplomacy this means a default on the debt. The problem with liquidity is very serious because Greece is expected not to be able soon to pay its internal obligations like pensions and wages and the non-payment of loans to the international creditors would mean a default and therefore leaving of the euro area. 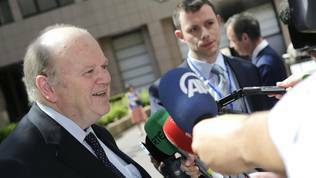 The Eurogroup chief said that the euro area finance ministers were assured by their Greek colleague that Greece would respect its obligations to the international creditors. 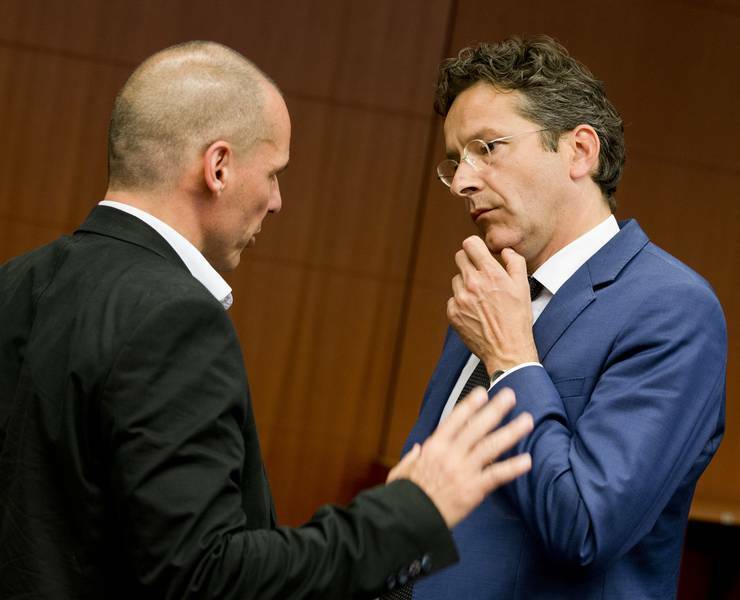 Mr Dijsselbloem reminded, however, that in the end of the day the management of money was a responsibility of the Greek authorities. 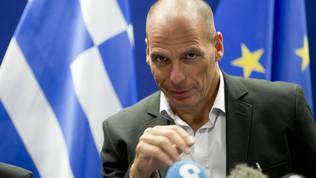 "We don't manage the liquidity situation in Athens. We can't", he emphasised. 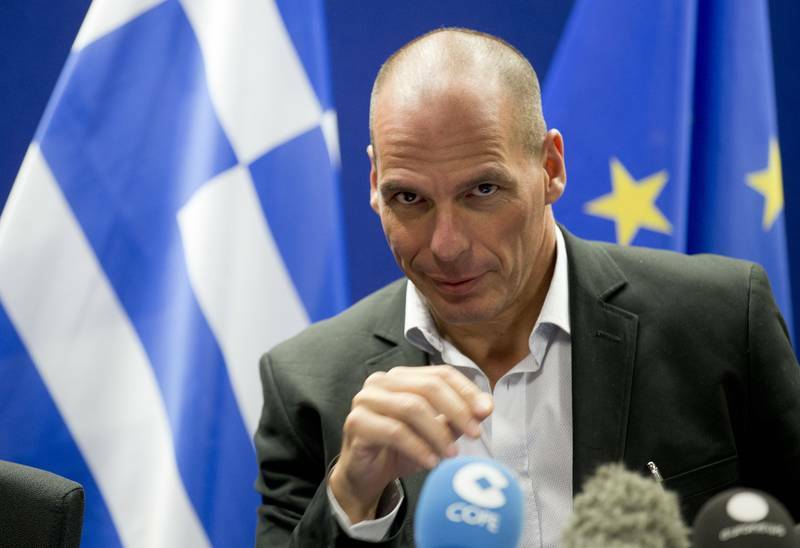 Greece Minster of Finance Yanis Varoufakis also reported a significant convergence of positions but recalled that it was due mainly to the government's efforts and the major compromises it made during the negotiations. On the issue of liquidity he seemed not happy that it was not mentioned in the too brief Eurogroup statement of 11 May. "The fact that liquidity is not part of the communique means that the members of the Eurogroup did not deem it fit to be mentioned today". According to Mr V aroufakis, the differences between Greece and its partners are rather in the realm of statistical error. Alas, his words showed that between the negotiators there is a huge ideological gap. Greece wants two fundamental questions answered before signing anything. The first is whether the package of reforms would ensure the end of the debt-deflation cycle. And the second is whether the reforms would be accepted by the population as people have associated in the past 5 years the word "reforms" with cutbacks of wages, pensions and benefits for those who need them the most. "If we can answer these two questions to a satisfaction [...] then we will have an agreement", Mr Varoufakis said at a press conference at the end of the Eurogroup meeting. Practically, in this way Greece demands a guarantee that the programme would work well and would deliver results. The representatives of the institutions answered indirectly the questions of the Greek finance minister. Jeroen Dijsselbloem finished his introductory remarks on Monday evening saying that Ireland had achieved a significant progress in terms of the fiscal, financial and structural matters, which "[...] is notably reflected in Ireland's very strong economic performance that we see right now", he added. "Overall, Ireland remains a strong example that financial assistance programmes can be a real success, provided that the authorities are fully behind the programme and strongly committed to reforms, as was the case in Ireland". In a similar spirit spoke Klaus Regling, the bailout funds chief. "Ireland's recovery continues to be extremely encouraging. It shows that the strategy adopted 4 years ago is working. Growth is strong, budget deficit targets are being met. It looks now as if all the money that the Irish government put into their banks during the crisis can be recovered. Something that seemed unthinkable some time ago. It's another indication that the strategy is working", the German added. This indirect exchange shows the great evolution of the approach toward troubled eurozone countries. In the beginning of the crisis, when all countries from the currency club were at risk from the market reactions to any possible news all leaders were very sensitive on each issue. But today, with the example of Ireland and Spain, as well as the lack of a risk of a domino effect for the other members of the economic and monetary union the institutions can afford giving Greece its sovereignty back. How will the negotiations unfold in the coming weeks will make it clear whether Athens is ready to accept this detachment back. On the one hand the Greek government constantly states that it wants to be left alone to choose the necessary reforms but on the other it is asking fundamental questions awaiting answers from the institutions. All this is abundantly combined with publications in influential international newspapers aiming a much broader and long-term discussion in an academically philosophical style. In the end of April, the finance minister, who continues to take care of his English-language blog, published an extensive article in the Project Syndicate where he explains that the programmes have failed so far. According to him, the responsibility for this lies entirely with the Troika. Not only in this text but in others as well Mr Varoufakis explains that a new model is needed for development of Greece that requires a brand new approach. Something that suggests a lot of time and lengthy negotiations. Initially, it was expected that this would be subject of a third programme but at this stage the institutions exclude any talks about the future without a final agreement about the present. In this sense Mr Dijsselbloem was explicit: "Let me be very clear that we will not engage in talks about what happens next, what happens after the programme, if we've not come to a positive conclusion of the current programme". In his latest publication, again in the Project Syndicate, Yanis Varoufakis writes that there has been no progress so far because too much attention is paid on the next liquidity injection than to the vision for recovery of Greece. In his article from 6 May he presents some new ideas for recovery of the economy the most interesting of which is the establishment of a Greek development bank that will be able to use the post-privatisation equity and other assets. He envisages also a connection to be made between the bank and Juncker's investment plan. This is the most interesting part in Mr Varoufakis's text because the European Commission proposes a serious belt-loosening for those member states that agree to participate in the investment fund through their development banks or in another way. This possibility was already used by France and Poland who pledged 8 billion euros each. Both received a more lenient attitude by the Commission in the assessment of their fiscal policies. Greece's Finance Minister does not develop this thesis in detail to help us see whether he has this in mind or something different. The negotiations have revealed so far that any talks of this kind have nothing to do with the main problem - striking a deal on what the content of the extended bailout programme should be. Given the remaining little time quite, logically was raised the question whether Greece is expected not only to sign the agreement but also to implement it to get the disbursement of the remaining money from the bailout programme. Jeroen Dijsselbloem answered this question by saying that it is vital not only to reach an agreement but to implement it as well. The Dutch finance minister assumed, though, that it is possible the remaining amount of money to be divided into tranches. "It could be that we cut the remaining implementation process up in parts and let the disbursements follow that. That could be the outcome", he said. 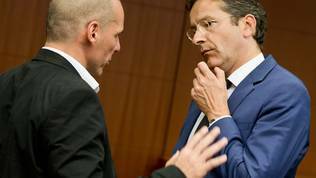 And will the Greek government subject the agreement to a referendum, as such a suggestion made Germany Finance Minister Wolfgang Schaeuble, is a decision the Greek authorities can make, Jeroen Dijsselbloem said, but reminded that implementation would not be possible before a referendum and there is no time for this. This is a U-turn of the current approach of the euro area toward such ideas. In 2011, when the then Greek Prime Minister Georgios Papandreou proposed a referendum this caused angry reactions with the institutions and the member states. However, the stakes then were much higher - the entire euro area - whereas now the stakes are just Greece's liquidity and its future in the currency block.